A growing number of Australians are concerned about the impact of climate change, and more than half of a survey of 1,756 voters believe the Morrison government needs to stay in the Paris agreement, despite Donald Trump’s decision to withdraw the US. A study tracking voter sentiment for more than a decade, funded first by the Climate Institute and now by the Australia Institute, finds 73% (up from 66% in 2017) of respondents concerned about climate change, and a clear majority, 68%, believes the government should set domestic targets to comply with our Paris commitments. An increased 67% want coal-fired power to be phased out within 20 years, up from 61% in 2017. The findings suggest the Morrison government is politically vulnerable on climate change at the next federal election. 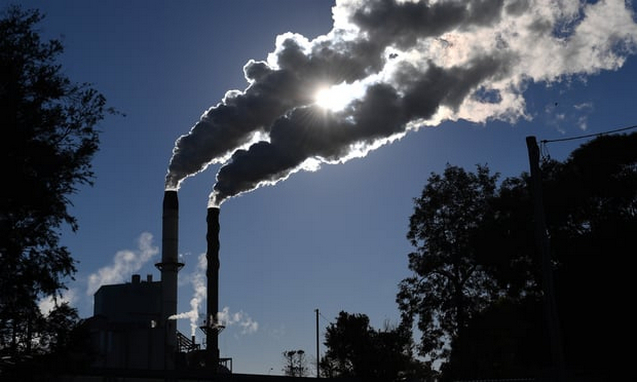 The prime minister has declared Australia will not pull out of Paris but also abandoned the national energy guarantee that imposed an emissions reduction target on the electricity sector. The former prime minister Tony Abbott on Tuesday reignited his push to scrap subsidies for renewable energy, taking on the new energy minister, Angus Taylor, at his first meeting of the government’s backbench energy and environment committee. Another outspoken conservative, Craig Kelly, also asked how he was meant to respond to questions about the government’s commitment to staying in the Paris climate agreement when it was completely unclear how the Paris commitments would be met. With a drought crippling swathes of regional Australia, a majority of voters (67%) in the bush believe the government is not doing enough to prepare for or adapt to the impacts of global warming. This compares to 56% of capital city residents. There has also been a shift in the attitudes of people voting for the National party and for One Nation. While those voters are still more likely than others to think the impact of climate change is being exaggerated, the number of people agreeing with that statement has dropped to 20%, down from 32% in 2017, for Nationals voters, and to 22%, down from 28%, for One Nation voters. With the Bureau of Meteorology predicting that southern and south-eastern parts of the country could face an early summer heatwave after experiencing the 12th driest winter on record, public concern is escalating about heatwaves and water shortages. When asked about the specific impacts of climate change, the top three issues Australians expressed concern about were droughts (78%, up four points in a year), the destruction of the Great Barrier Reef (77%, up four points) and bushfires (76%, up five points). More than half the sample, 53%, think governments are not doing enough to deal with climate change threats – a perception reinforced by a decade of partisan warfare on the issue. On energy, 55% of the sample blame power companies for high electricity prices, with 52% pointing the finger at privatisation, 41% identifying poor policy making and 29% renewable energy sources. More than half the sample feels the government should invest in renewable energy generation and storage, with only 7% favouring government investment in coal, oil and gas. The sample is divided over who should pay the costs of climate action, with 38% saying big polluters, 21% saying taxpayers and 10% saying the people facing climate change impacts. Ben Oquist, the executive director of the Australia Institute, said: “The public want lower power prices and action on climate change. The former Liberal party leader and Australian National University professor John Hewson said the research indicated Australians were prepared to support “far more ambitious climate and energy policies than governments of either persuasion have delivered”.